Owen O’Kane, author of Ten to Zen, tells us how to deal with those anxieties that the festive season can bring. Family squabbles over the Monopoly board, trying to find the perfect gifts for all your loved ones on a budget, single-handedly cooking a Christmas feast for ten - the festive season can bring a whole lot of stress and anxiety along with joy and goodwill to all men. 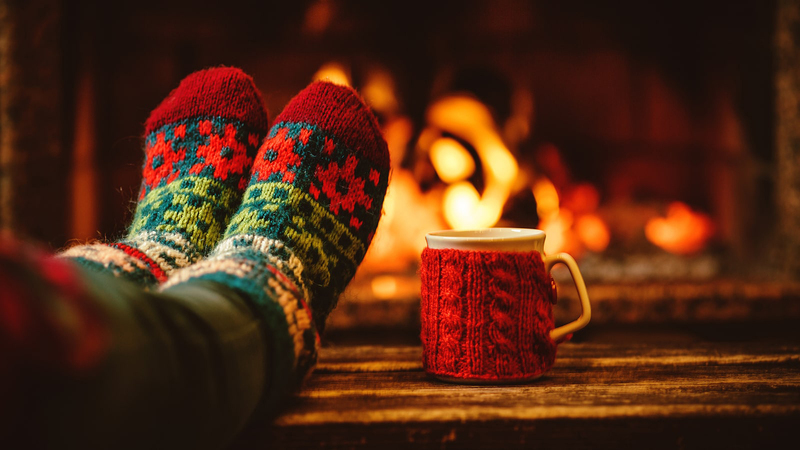 Here Owen O’Kane, clinical lead for an NHS mental health service, founder of a business dedicated to mindfulness and stress management and author of Ten to Zen, shares his top tips for keeping calm over Christmas. Ten to Zen offers a simple, no-fuss guide to starting your day the right way, in just ten minutes. There are two types of people in life - radiators and drains. Radiators pick us up, offering hope and support when needed. Drains do the opposite, leaving us feeling depleted. It’s worth noting who you feel stressed about seeing or buying a present for this Christmas and asking yourself why that is. Sometimes, it is worth considering the choices we make concerning our friends and sometimes even our family. This can be painful but is essential to having a calmer, happier Christmas and life. This is the one we don’t like to hear. Every one of us has justifiable reasons for the difficulties we experience in our lives. In the short term, it enables us to blame the world, but in the long term we remain ‘stuck’. So here’s the bad news - it is your problem. Now for the good news - you are the solution. If you have mountains of tasks to do this Christmas, know when to say no. Throw a smaller, more intimate gathering instead of that massive blow-out party. Send 10 cards to your closest friends instead of 100 to everyone. Knowing your limits can save you a lot of time and unnecessary stress. We are all too familiar with being told about the benefits of a healthy diet on your body such as managing weight, looking healthier and feeling better. But a healthy diet is also important for the functioning of the brain. While Christmas can be a time for indulgence, a poor diet will often leave you feeling sluggish and low, whereas a good diet of healthy foods will leave you with a lot more energy. So make sure to eat plenty of fruit and veg and drink lots of water alongside your hourly chocolate treat. It will make all the difference. We all need help and support from time to time, especially during an incredibly busy time such as Christmas, but for some reason we very often refuse to ask for it. We tell ourselves that we should be able to manage and we worry about being perceived as weak by others. Try to avoid this and seek out as much help as you can instead of trying to do everything. Our minds can become unwell, just like our bodies, so asking for help or support is honouring the commitment you should make to yourself to look after your mental wellbeing. Christmas is one of the busiest times of year and so it is so important to take a little time for yourself to relax. Even if that’s just ten minutes. We all spend well over ten minutes every day focusing on our physical appearance - brushing our teeth, doing our hair, going to the gym - but not enough of us treat our mind the same way. We all have ten minutes in our day to focus on what’s most important - our mental wellbeing. In Ten To Zen, I have put together a ten minute mental workout that is a no-fluff approach to mental health and a guide to calm your mind. Christmas can be the most wonderful time of the year but also the most stressful. Take the time to look after yourself and stop stress in its tracks. Every morning we spend time on routine tasks such as having a shower, brushing our teeth and eating breakfast, but how often do we spend some time on our mental health? Ten to Zen offers a simple but effective guide to help you start the day in the right head-space - and it takes just ten minutes. Ten to Zen was developed by Owen O’Kane based on his years working as a psychotherapist, and incorporates four therapeutic models - Mindfulness, Cognitive Behavioural Therapy, Psychotherapy and Eye Movement Desensitization and Reprocessing therapy. You will learn how to settle your mind, better deal with stress, change unhelpful thought patterns and improve your communication skills.